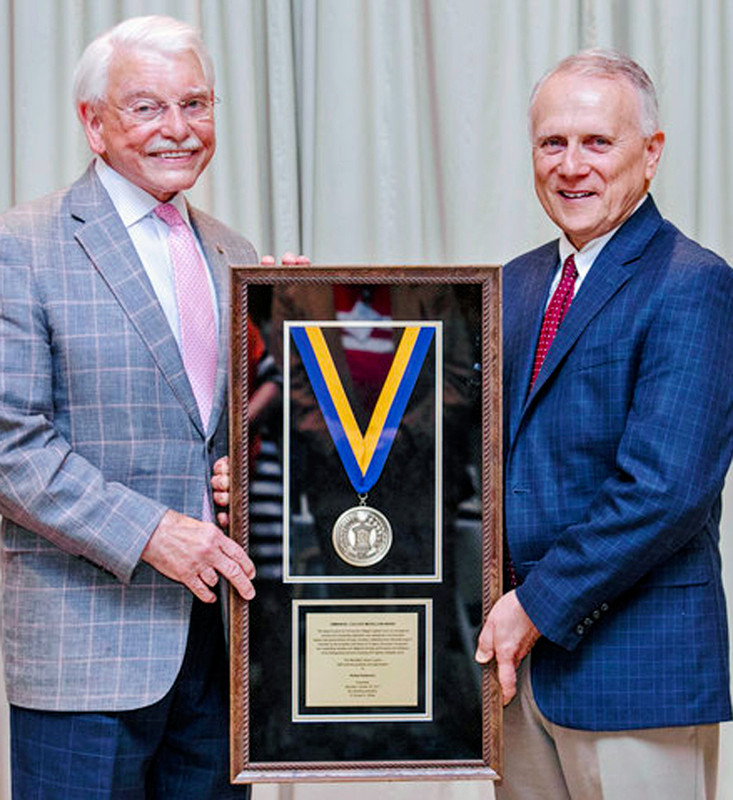 Emmanuel College recently presented its highest honor, The Medallion Award, to Robert Roberson, Chairman of the David Allen Company, recognizing him for his continued support of the college. Over the last six decades, 35 members of the Roberson family have attended Emmanuel College, with Robert Roberson being the first. He has served on the Emmanuel College Board of Trustees and continues to serve as a spokesperson, recruiter and friend of the college. 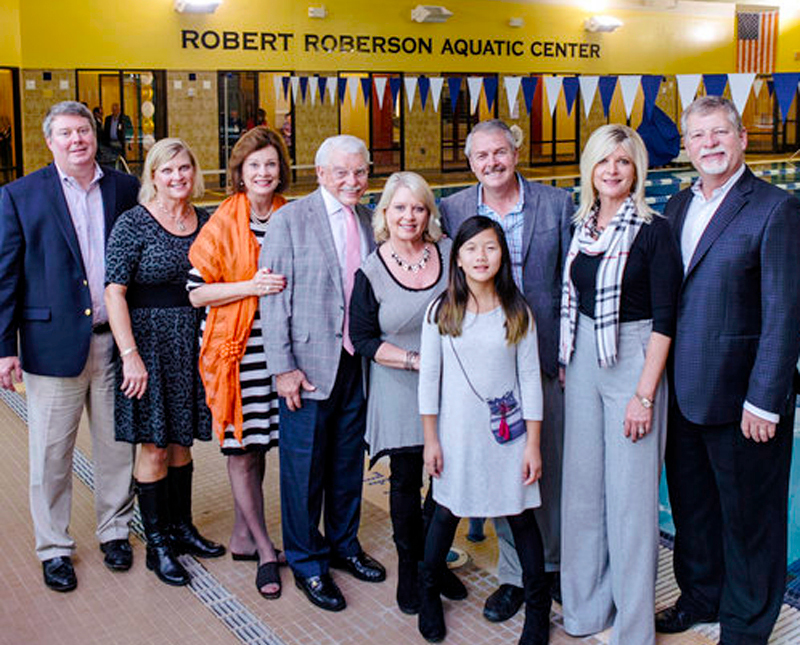 That afternoon, the Robert Roberson Aquatic Center was dedicated to Mr. Roberson with a message from Emmanuel President Dr. Ron White, as well as from the vice president of advancement and the athletic director. His daughter, Cindy Roberson Jerrell, shared a special message on behalf of herself and her two sisters, Cathy and Christy.